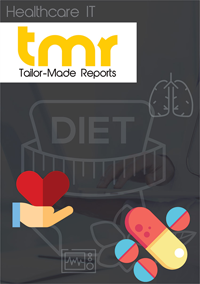 An upcoming report on the global vision care market by TMR Research could be a valuable source of information for major stakeholders in the market. The report would offer a brilliant study of the market with its focus on market dynamics, segmentation, and geographical outreach. It could prove to be a useful guideline for players wanting to cement their position in the global vision care market. Vision care or maintaining eye health are the major concerns globally. Vision-related diseases elevate the risk of blindness or significant vision loss. Good vision eases out daily important activities such as writing, reading, and watching. These also helps in communication, health, work, developmental learning and impacts in overall quality of life. Various factors such as chronic diseases, pollution, and unhealthy diets can affect in functioning of the eyes. Thus, plenty of products and treatments are developed to control vision related problems. Increasing usage of laptops, tablets, PCs, and phones in day-to-day lives, growing older population, and rising number of vision-related problems are believed to be driving the global vision care market. Apart from blindness, there are various vision related problems such as astigmatism, myopia, macular edema, retinal tears, and diabetic retinopathy. Growing demand from the population aged 65+ years, increasing healthcare industry, and rapid technological advancement in eye care products are expected to boost the global vision care market. Although, declining eye care treatment rate, product design, and brand name are also projected to hinder the growth in the global vision care market. However, growing brand awareness and paradigm shift in the consumer behavior are projected to propel the global vision care market. Growing advent of innovative product launches is expected to fuel the global vision care market. There are several products available for vision care such as contact lens, glass lens, contact lens solution, and IOLs. The incorporation of technology in developing vision care products increase efficiency, improves quality and precision of the final product, and reduces overall cost. Increasing demand for restoring normal vision with eyeglasses or contact lenses, cost-effectiveness in using vision care products instead of LASIK eye surgery, and rising advanced medical treatment are believed to be driving the global vision care market. Region wise, there is a possibility of North America to lead the global vision care market as the region has witnessed rapid development in healthcare industry. Growing population suffering from eye related disorders, rapid technological advancement, and increasing healthcare industry with advanced infrastructure could also be fueling the global vision care market. The prominent countries in this region are US and Canada. Easy availability of glass lens and innovative product launches with the help of modern technology are projected to propel the global vision care market in these countries. Some of the prominent players operating in the global vision care market are Johnson & Johnson, Valeant Pharmaceuticals, Novartis, ZEISS and The Cooper Companies. The upcoming TMR report would provide crucial information on their product offerings, market standing, and strategies for progress.